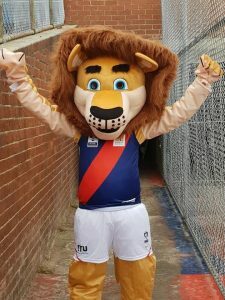 There’s a new King of the jungle roaming the vast plains of Coburg and the broader Moreland savannah, and his name is Captain Coburg. He’s fierce when he needs to be and is very protective of the Piranha Park pride. Most of all though, Captain Coburg wants to have fun with the locals of Coburg and Moreland, and he loves being the centre of attention. He’s already got some tricks up his sleeve and can’t wait to meet everyone else in the VFL. Captain Coburg is a magnificent beast of Cleary-Nimmo lineage and he delights in the sweet victory over his rivals across the savannah. We look forward to having him at all our home games at Piranha Park in 2019, and around Coburg and Moreland to engage with local schools, businesses, and most importantly, our Coburg fans. When he’s not supporting the mighty Coburg Lions, Captain Coburg can be found enjoying a meal at the Post Office Hotel or Bluestone American BBQ and has even been rumoured to appear at the Hume Blues Club. 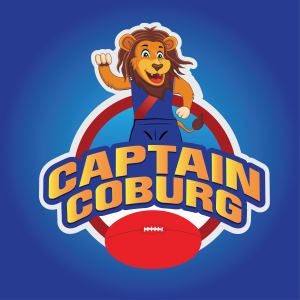 We welcome our new club mascot Captain Coburg!